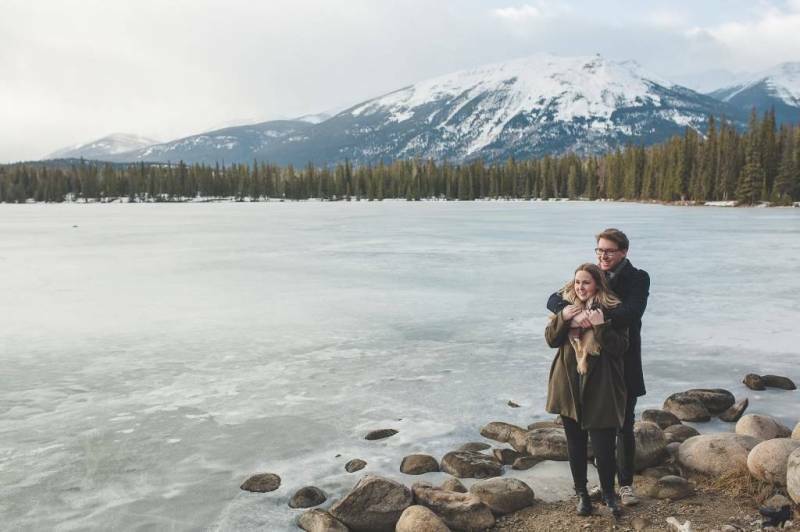 The Rocky mountains have held a special place in Mathieu and Meaghan's heart and their relationship - it has been a place of escape, wonder and connection over the years and it was a place they knew needed to be the backdrop of their engagement photos. 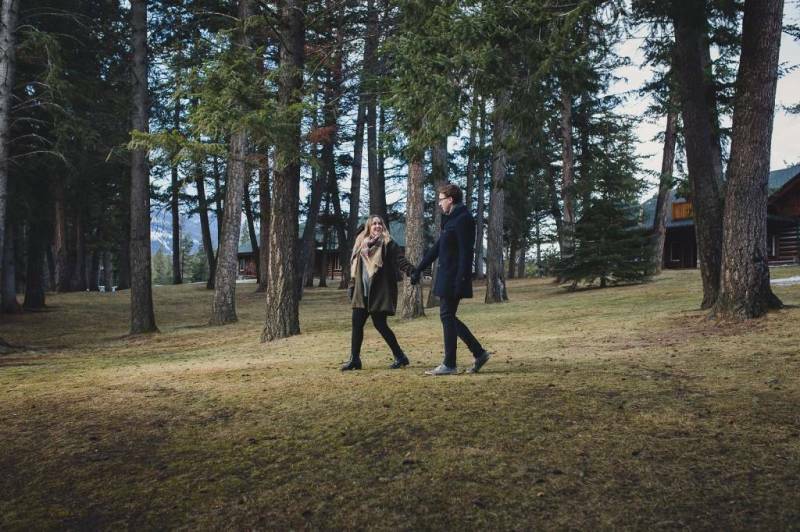 So they headed out one chilly morning with their lovely photographer, Kristin Zabos Photography to remember the beautiful moments they had shared together in these mountains and create new ones. 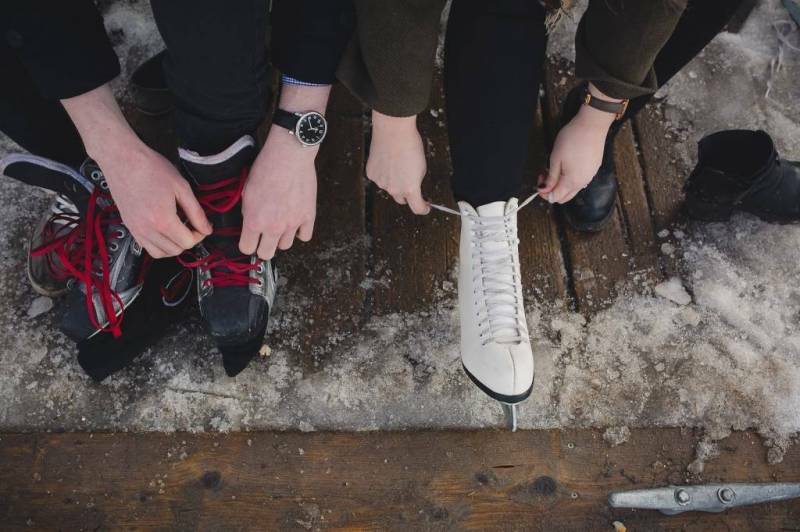 Today, we hope you enjoy these beautiful engagement photos (although I know we're all itching for sunshine and summer but they really are incredible) and a gorgeous love story too. 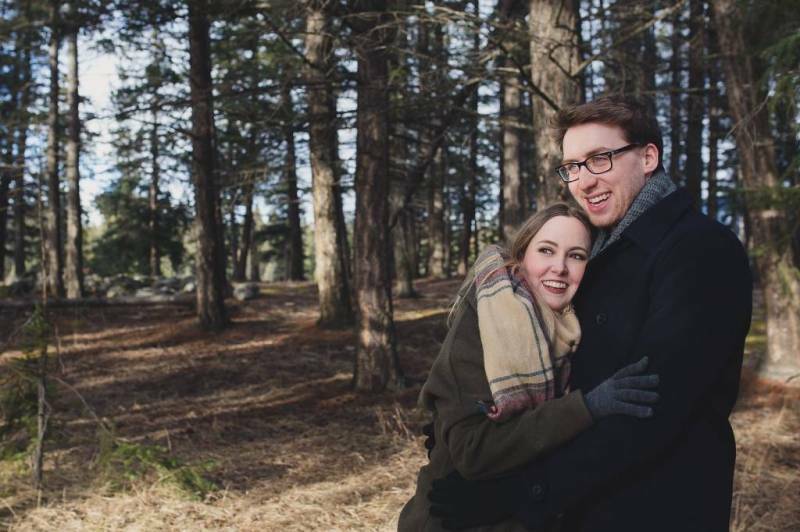 Meaghan and Mathieu met at a local coffee shop where she was a Barista and he came to study. Mathieu quickly feel head over heels for the beautiful blonde barista but she hardly noticed anything other than another customer and another student studying away. Years passed and the two remained acquaintances until finally Mathieu asked her out for coffee and they found they had a deep connection and an incredibly friendship and love for each other immediatley began. 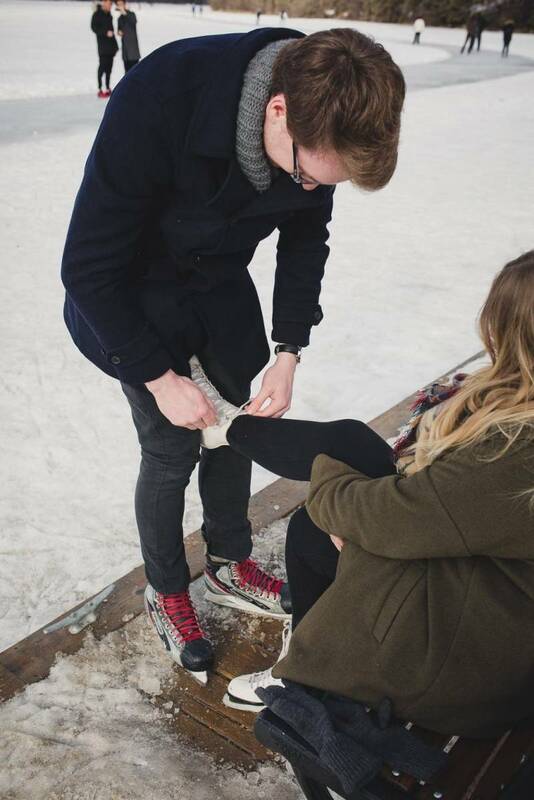 As their friendship grew and turned into a deep love for each other, Mathie began planning a way to propose to the love of his life. Every year they would attend an even called Luminaria at the Devonian Botanical Gardens around Christmas time. It was an outdoor event in the snow, with ice sculptures, candles, and carols. On December 5, 2015, Mathieu arranged a date night for dinner and Luminara and although everything was a surprise Meaghan had this deep feeling inside of her that tonight was going to be something more than a typical date. 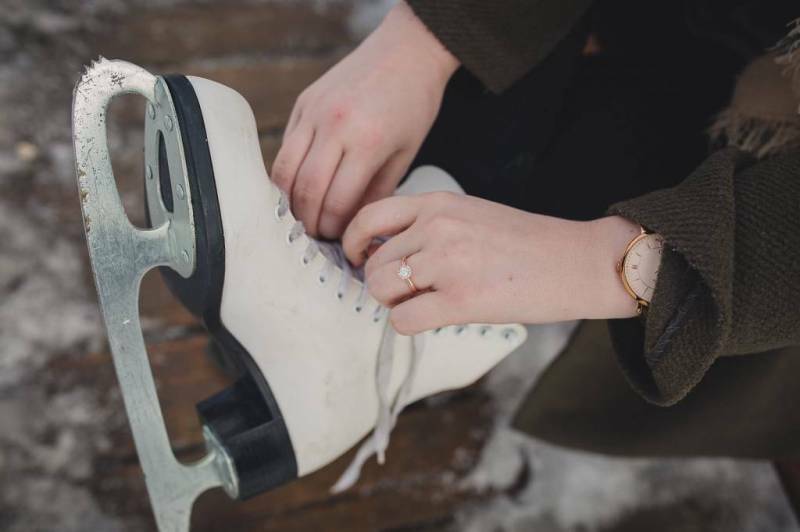 "I remember waking up the morning of, going into my closet and thinking, "I'm going to get engaged today, what should I wear"? Matt loves surprises, and I don't... I always had a feeling. Even though I knew it was coming, Matt did a lot of planning I wasn't aware of. 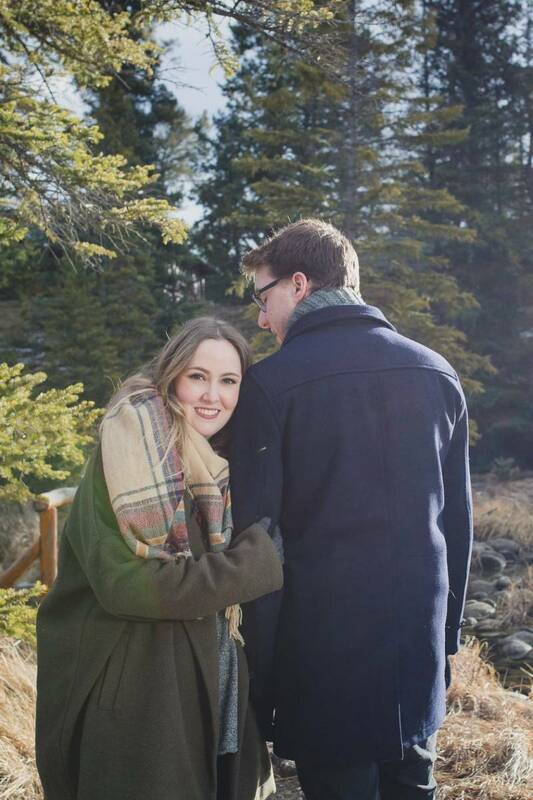 He arranged with my manager to give me the night off work, and he had his friend hide and take photos while he proposed. We walked to a secluded area, with candles lit. He got down on one knee and asked me to marry him. As I predicted, I covered my face crying and said yes." 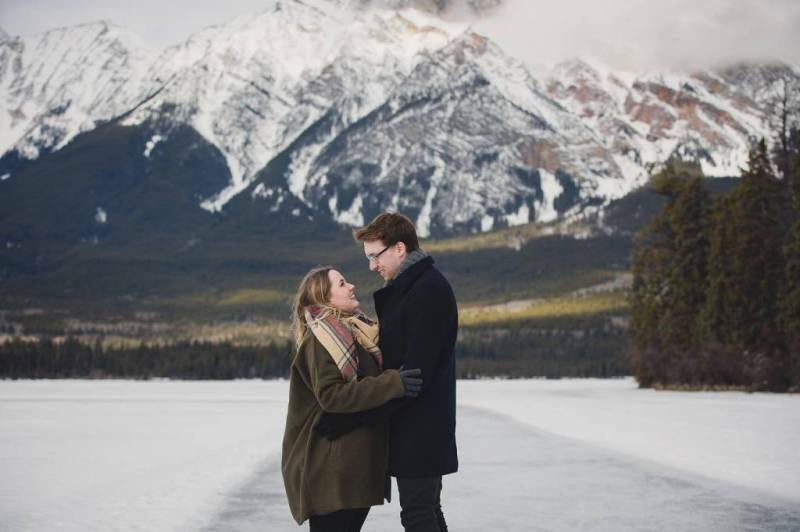 We asked Meaghan why they choose to take their engagement photos in the Jasper and there was no hesitation in her answer, the Rockies definitely had a special place in their heart. 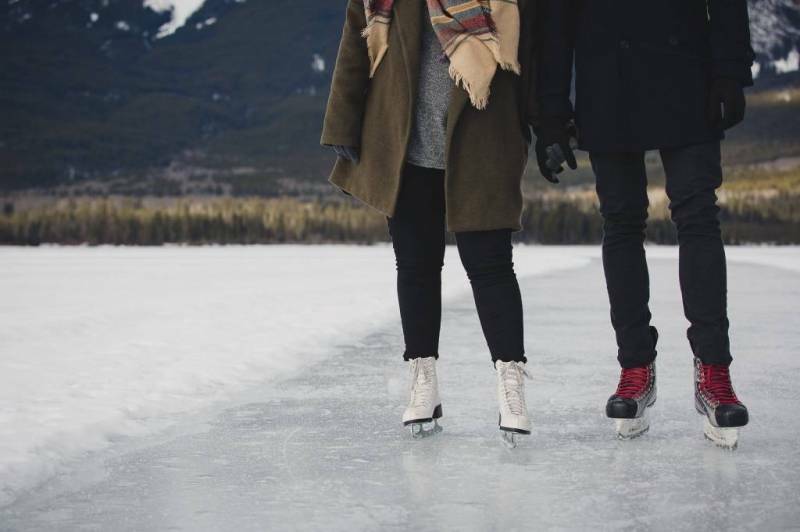 "Being born and raised in Alberta, the Rocky Mountains were something always magnificent and always there for me to see. 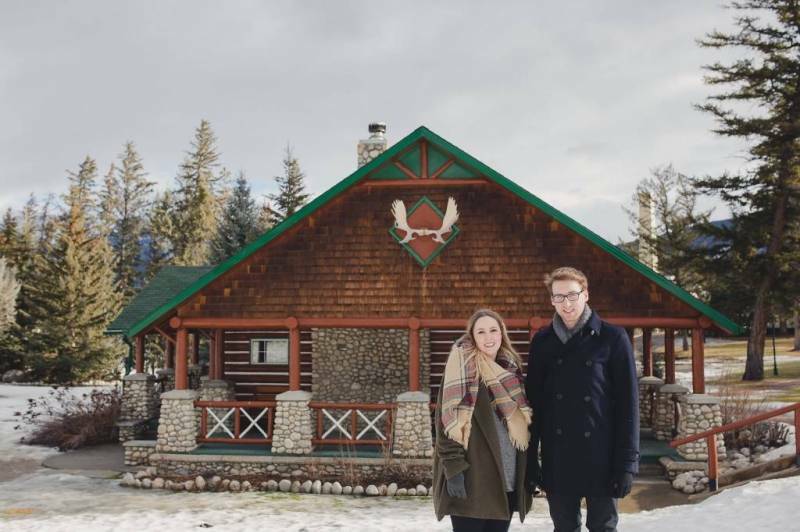 Mathieu was born in Quebec, so upon coming to Alberta, the mountains blew his mind. Something important to Mathieu and I were to go away for a few days together, at least once a year. 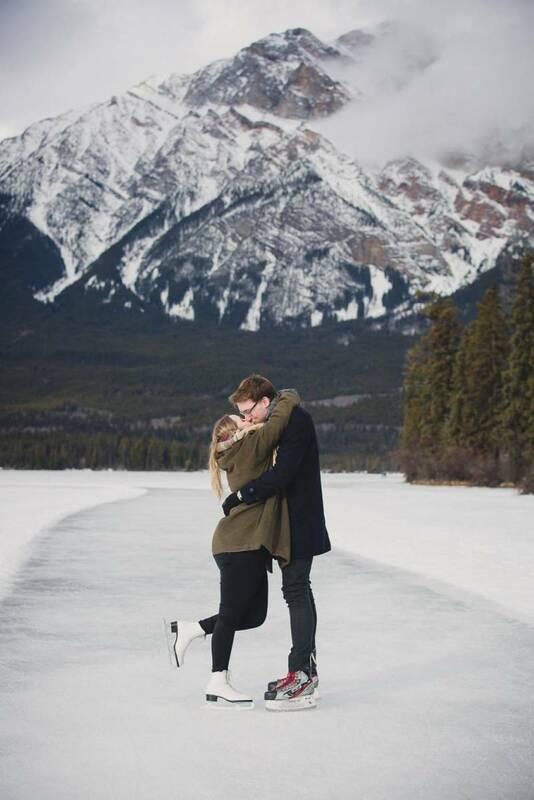 That place always was either Jasper or Banff. To this day, I love seeing the joy in Mathieu's face once the mountains are in view, I love that he still feels that. I love feeling like something familiar to me is still incredible to him." 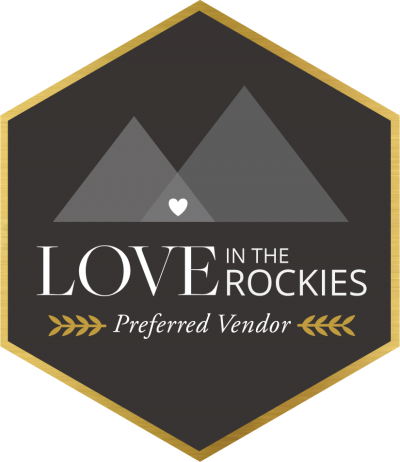 If the mountains hold a special place in your heart we definitely think it's a fabulous idea to get out here for your wedding, engagement session or even a day after session. 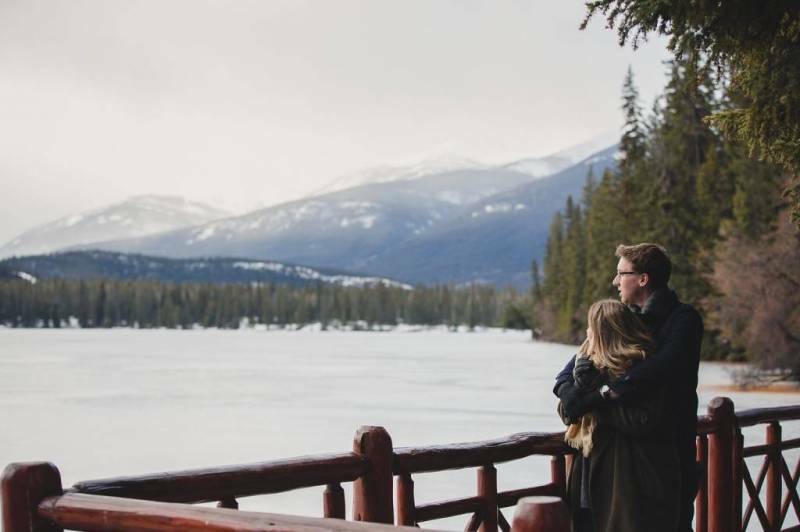 Whatever it is, Jasper is a place filled with beauty and backdrops so incredible they hardly seem real. Check out our website for more Jasper wedding ideas and engagement sessions too.